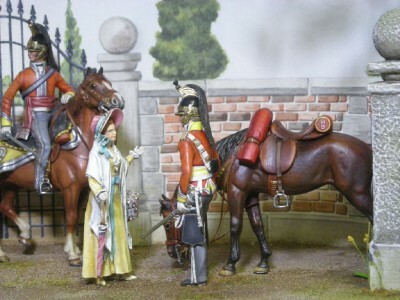 A true British subject and a gentleman living in California in the 1970s, Reggie painted exquisitely researched and well-presented military miniatures and shadowbox dioramas for many years, and he was one of the early masters of the hobby. His more than 24 years of military service and his background in architecture as well as formal art-school training gave his work a unique artistic charm and a precision of perspective seldom seen, then or now. Sadly, he passed away far too soon and is greatly missed.